From an early age, Master Daniel Osorio was noticed for going the extra mile on anything that he set his mind to do. Whether his mother needed assistance with his younger sister or his father needed help with his repairman duties, he was there. One of the reasons why Master Daniel Osorio was always so eager to help was also because he could not stay still. His mind ran at a million miles per hour thanks to his curiosity and he always went with it. From jumping around the room to wiggling in his seat, Master Daniel Osorio’s parents kept looking for ways to keep him entertained. As fate would have it, Master Daniel Osorio was enrolled in a martial arts program to help develop his curiosity. To everyone’s surprise, even Master Daniel’s, he immediately fell in love with the lifestyle. A lifestyle that he continuously worked on through passion and dedication to perfect for the world, more importantly -- to gift to the future of our world. Aside from this love for the martial arts, Master Daniel stumbled upon a deep interest in music as well. In fact, at some point in his life, his world was composed of high notes, symphonies, and taking on the stage of well-known theaters thanks to the influence of his Bachelor of Music. However, Master Daniel Osorio knew that he wanted to expand on other passions too. All while maintaining his previous worlds right on his heart. 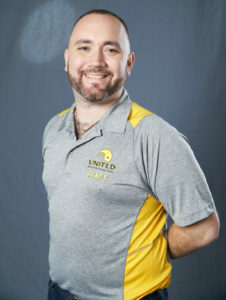 After completing his Bachelor of Music, Master Daniel went on to completing two more degrees, Bachelor of Liberal Arts and a Master of Business Administration, because of his ceaseless want to learn. As you can see, Master Daniel Osorio is very fond of education. In actuality, he considers education holds great importance to his life. Consequently, Master Daniel Osorio holds several achievements to show for his intense discipline. He started out with as a Level 1 coach for USA moving his way into a PATU certified coach as well as being Safe Sport certified, but that is not where he stops. He kept alive his willingness to learn by becoming the Truescore Florida President. He also holds a fourth Dan Hapkido certified from the American Hapkido Association and a fifth Dan in Taekwondo, which helped him in his personal competitions that he appeared as a competitor both nationally and internationally. With all of this, he was able to excel in positions such as being a tournament director for the AAU Goldcoast district. By using all of this experience, Master Daniel Osorio has successfully opened two martial arts schools named United Martial Arts. These schools are the product of his enduring tenacity. From teaching from Miami, Fl to New York City and Boston, Master Daniel Osorio is confident of the education he provides to the students he encounters. As a matter of fact, some of his students have competed state-wide and internationally placing in various awards. Consequently, he has developed state, national, and international champions. He only hopes his students surpass his drive and make a name for themselves wherever it’s important to them. One thing is for sure, there is no denying that a creative mind will do wonders when curiosity is involved. Master Daniel Osorio is somebody who truly believes that anything is possible if the proper dosage of discipline and confidence is applied. © 2019 Wedoyourwebsite. All rights reserved.